CHOOSE DOMAIN Your domain name is your website name. There are a number of factors to keep in mind when choosing your website name. People should be able to pronounce it fluently. It should also be as short as possible, free of complicated spelling and easy to remember. These factors help make your website more memorable to potential clients. PURCHASE DOMAIN Your domain/website is purchased through a domain register. Purchasing your own domain name is an ongoing cost of approximately $10-15 per year. To purchase an Australian domain name (.com.au) you will require an ABN, ACN or business number. CHOOSE HOSTING Your website host stores your website content on a server that makes your website viewable on the internet. Server space, response time, bandwidth and customer support should be important factors in your decision. The cheapest plan is not always the best as it may result in sacrificing crucial services your website needs to succeed. DESIGN LOGO Your logo is a visual representation of your business. The same concepts used in choosing your business/domain name also applies to logo design. Keep your design simple, uncluttered and free from confusing symbols that don’t relate to your business. Choose a logo that is simple to use in various forms of digital and print media. 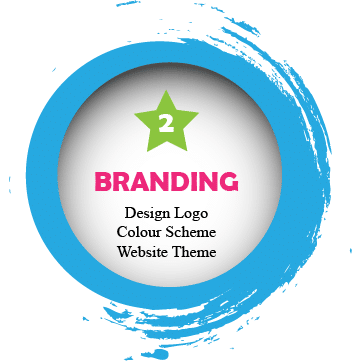 COLOUR SCHEME The colour scheme for both your logo and website has the ability to create a positive message to your visitors. Simplicity is the key to success. Aim to use 3-6 colours across your website. A number of online resources will assist you in selecting your colour scheme. WEBSITE THEME Simplicity is also important when designing your website. The best way to ensure your website is well designed and viewable across all devices is to use a professional website theme. Using a theme will save you countless hours and will provide a professional first impression to potential clients. WEBSITE LAYOUT It is important that your website layout is useful and helpful to your visitors. Visitors don’t know you personally so your website should offer important information about you and your services that will help them decide to seek help from you. BROWSER CHECK Browser checks are conducted to ensure your website works across a number of different browsers (eg. Chrome, Firefox, Safari etc). While your website may be visible across various browsers, you still need to ensure that important functions such as contact us forms and any checkout processes also work. 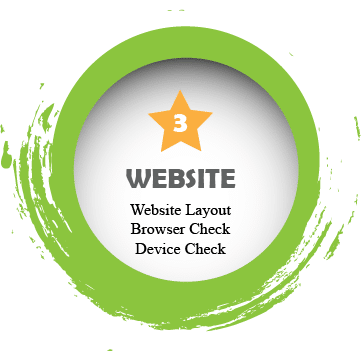 DEVICE CHECK Similarly to browser checks, you also need to ensure your website is both viewable and useable across various devices such as desktop, notebook, tablet and mobile phone. Google provides a quick mobile-friendly analysis that you can quickly use to initially assess your websites mobile responsiveness. 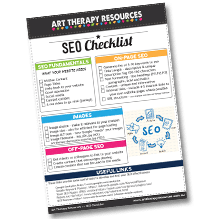 ABOUT US Your About Us page is a vital page to your website, especially if you are selling personalised services such as Art Therapy sessions. It is a way to introduce yourself to your visitors and tell them your experience and why you can help them. It is also a good place to explain how your services can work for people. START HERE A Start Here page provides your visitor with a guideline on how they can best use your website. 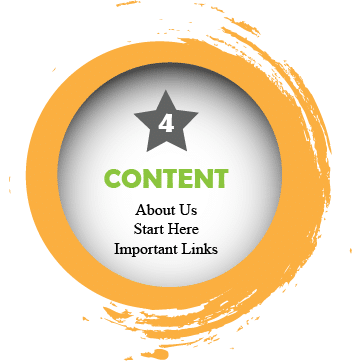 This page can serve as a map on how to read your website as well as provide a summary with links to the best content on your website. Think of your Start Here page in a similar manner as a contents page in a book. IMPORTANT LINKS Adding links to other useful websites helps your website become a valuable resource for content within your area of expertise. It also encourages positive networking within your industry. Be sure that the links you include are to reputable websites that deliver useful content for your visitor. GOOGLE ANALYTICS is a free tool provided by Google to track information about the way visitors interact when visiting your website. You are able to determine what content attracts the most traffic and use this as a guide to improve other parts of your website. KEYWORDS Using relevant keywords on your website will help search engines send traffic to your website when a visitor enters a search term in their browser. The right keyword/s for you to use should always relate to your niche eg. Art Therapy or Counseling. ANALYSIS TOOLS Using analysis tools provides you with insight into the performance of your website and the effectiveness of your content in delivering traffic to your website. 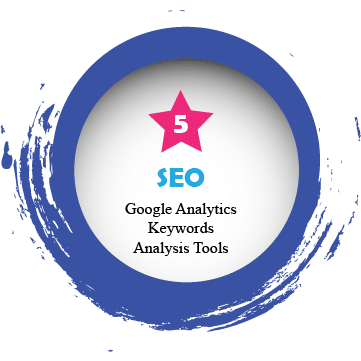 There are a number of free website analysis tools that provide important information about your website along with suggestions on how to fix problem areas. 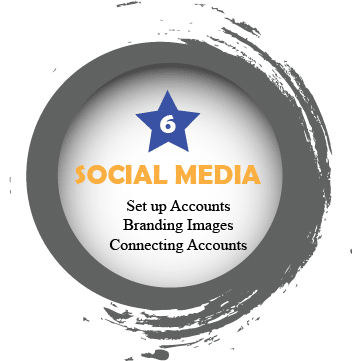 SET UP ACCOUNTS It is important to “claim” your social media accounts using your business name. You may find your business name has already been taken. In that case, find something close to your business name that is suitable and memorable. Check all social media channels for availability before setting up all accounts, as you may wish to use the same modified name across all channels. BRANDING IMAGES Use your business logo and website branding to create images across all social media channels so that your business branding is consistent. Make it easy for visitors to recognise your business brand whether they visit your website or other social media websites.